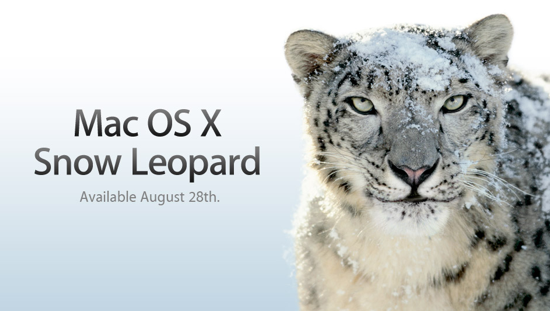 The Apple and tech blogs have been buzzing with this week’s early arrival of Mac OS X 10.6 Snow Leopard, available this Friday, August 28, 2009. We’ve already pre-ordered our family pack upgrade. If you haven’t yet, it’s worth the upgrade at only $29 for an individual (or $25 at Amazon; $43.99 for the family pack upgrade at Amazon). Why? David Pogue covers this in his review today. Update Aug 28: If you’re unsure whether your software will be compatible with the upgrade, check here.